Wooden Cottage is located in picturesque area, 100 meters from the sandy beach and 1.5 km from Botanical Garden in Makhinjauri. It features a fruit garden and terrace. Free Wi-Fi is available throughout. 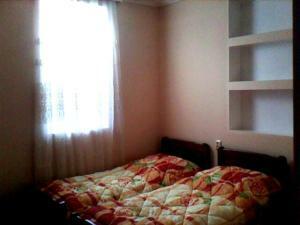 All room are simply decorated and equipped with wooden furniture. Some rooms include a balcony. Guests can cook their meals in the shared kitchen and relax on the terrace. Free barbecue facilities are also provided. 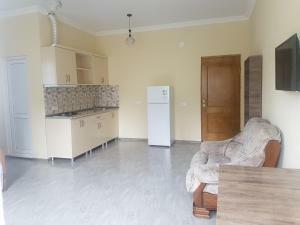 The distance to Batumi International Airport is 12 km from Wooden Cottage. A bus stop is 80 meters from the property. 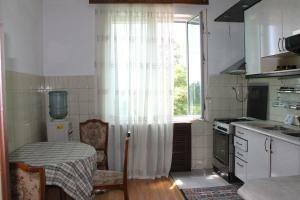 Lashas Guest House is located in Makhinjauri, a 5-minute walk to the coast of the Black Sea. The Botanical Garden is a 10-minute walk away. The classic-style rooms are air conditioned and have cable TVs. 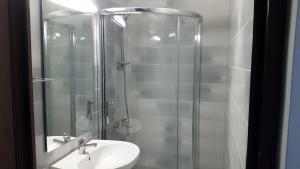 The private bathrooms come with a bath or shower. Lashas Guest House has a garden and table tennis. 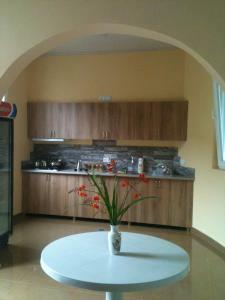 It also offers a fully equipped shared kitchen and shared lounge area. Makhinjauri Train Station is a 2-minute walk from the guest house. 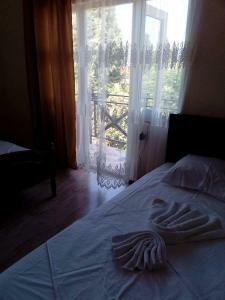 Feride Guest House is located in the resort village of Mahindjauri, just 2 minutes' walk from the Black Sea beach. Free Wi-Fi and free private parking are provided. 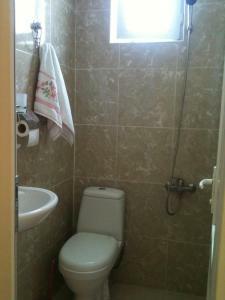 Feride offers bright, simply decorated rooms both with private and shared bathrooms. Most of the rooms have a sea view. Home-style Georgian and European dishes are served in the on-site canteen. Guests can relax and have a chat in the shared living rooms. Also massage services, shuttle and guided tours are available at surcharge. Batumi city centre is 8 km from Feride Guest House, and the distance to Batumi International Airport is 14 km. 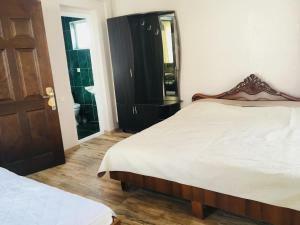 White Guest House is located in the north of Batumi, just a 3-minute walk from the Black Sea coast and a 2-minute walk from Makhinjauri Train Station. Free WiFi access is available. 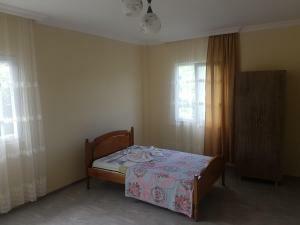 Each room here will provide you with a TV with satellite channels. The bathrooms are private or shared. At White Guest House you will find a garden, a terrace and 3 shared kitchens. Other facilities offered at the property include a shared lounge and a games room. The property offers free parking. Batumi International Airport is a 20-minute drive away. 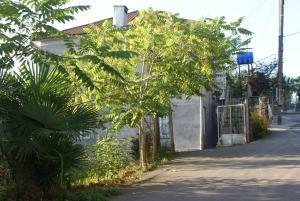 Guesthouse David is located in Makhinjauri, 4.3 miles from Batumi and 24.9 miles from Hopa. Some rooms include views of the mountain or garden. 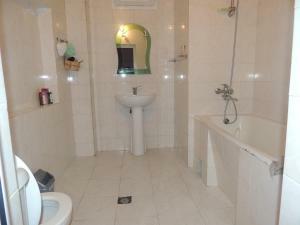 Each room is equipped with a private bathroom equipped with a shower. There is luggage storage space at the property. 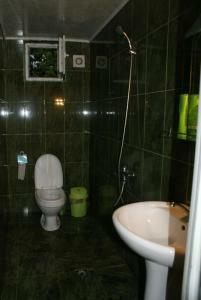 The nearest airport is Batumi International Airport, 6.8 miles from Guesthouse David. 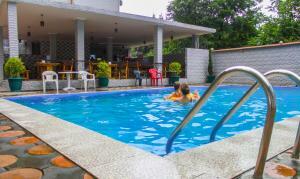 Offering an outdoor pool, Natalia Guest House is located in Makhinjauri, just 100 metres from the Black Sea coast. Free WiFi access is available. The bright rooms come with a fridge, a balcony and a private bathroom. 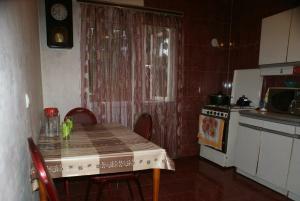 At Natalia Guest House you will find a garden, a terrace and a shared kitchen. Other facilities offered at the property include a shared lounge. The property offers free parking. 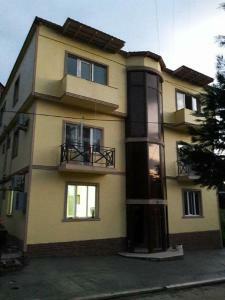 Makhinjauri Train Station is 1.5 km away, and Batumi International Airport is 10 km from the Guest House. 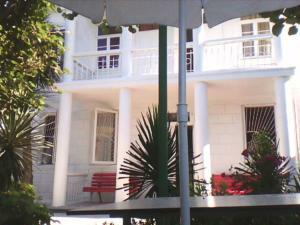 Guest House Niako is located in Batumi, 300 metres from the Black Sea coast. Free WiFi access is available. Each room here will provide you with a TV, a balcony and satellite channels. You can enjoy garden view from the rooms. The bathrooms are shared. 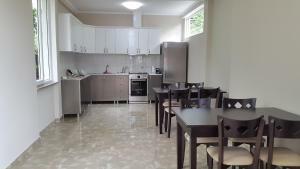 Guests can cook their meals in the shared fully equipped kitchen, complete with a dining area. A variety of cafés and restaurants can be found within a 5-minute walk of the guest house. 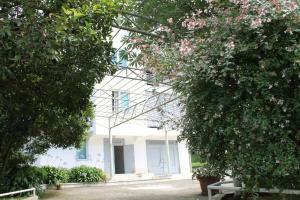 At Guest House Niako you will find a garden, barbecue facilities and a terrace. 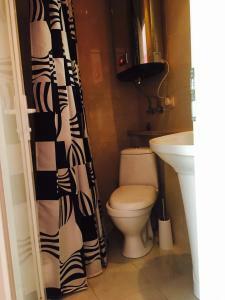 Other facilities offered at the property include a children's playground, an ironing service and laundry facilities. The property offers free parking. Batumi Botanic Garden is 1.5 km away, and Makhinjauri Train Station is 1.8 km away. 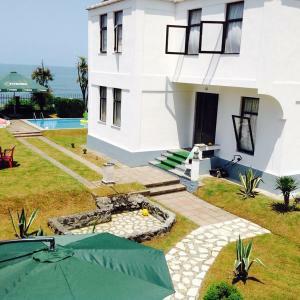 Offering private beach area and outdoor pool, this beachfront hotel is located in Makhinjauri district of Batumi, just 50 yards from the Black Sea beach and a 5-minute walk from Batumi Train Station. Free WiFi is provided at Hulus Hotel. The bright, air-conditioned rooms offer warm-coloured interiors and classic-style décor. Each room comes with a flat-screen TV, a balcony and a private bathroom. Hulus Hotel Restaurant serves traditional Georgian cuisine. A lounge bar and barbecue café are also on site. Once in a week hotel organises Georgian events, accompanied with traditional singing and dancing. Tours around Georgia is offered by the hotel as well. A bus stop providing access to Batumi city centre (3.7 miles) is only 50 yards from Hulus Hotel. Batumi International Airport is 7.5 miles away. 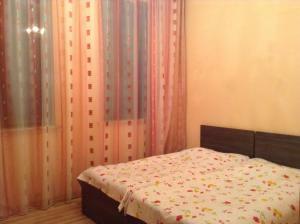 Dom Merabi Guest House is located in Makhinjauri, a 5-minute walk from the Black Sea coast. Free WiFi access is available. 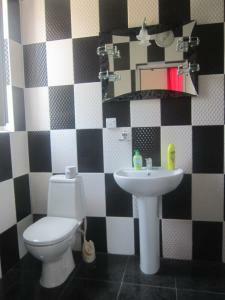 The rooms are simply decorated, and the bathrooms are shared. You can enjoy sea view and city view from the rooms. 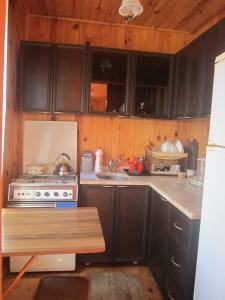 Guests can cook their meals in the shared fully equipped kitchen, complete with a dining area. A variety of cafés and restaurants can be found within a 10-minute walk of the property. At Dom Merabi you will find a terrace and free parking. Makhinjauri Train Station is a 10-minute walk away. Batumi International Airport is 13 km from the guest house.